This is one of four door handles that the distinguished industrial designer Kenneth Grange created for izé at the foundation of the company. 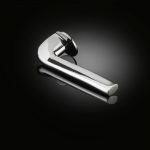 The handle, which has become a classic, uses Grange’s deep knowledge of design to explore making a handle which is extra functional as well as beautiful. In particular, it is distinguished by the fact that the handle grows directly out of the rose as a single sculptural piece. 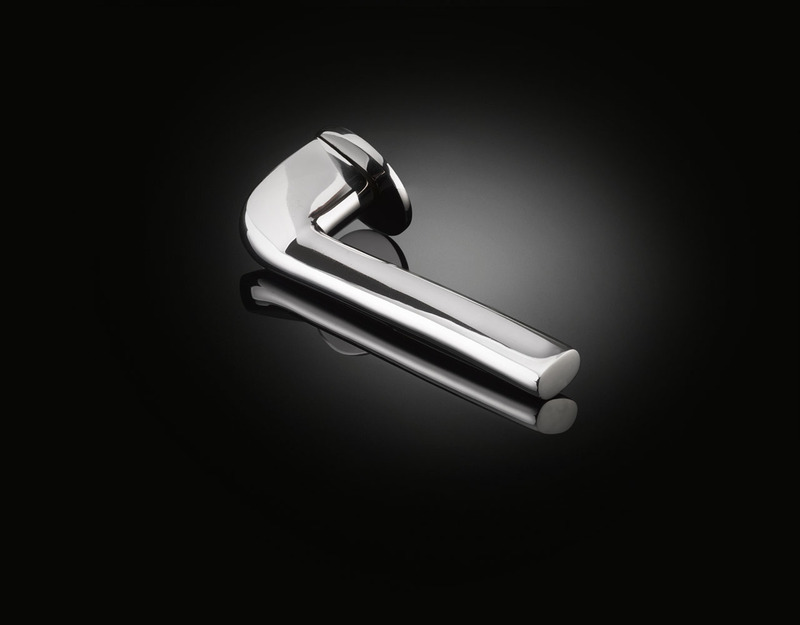 This lever is the most slender of the group of four that Grange designed, making it arguably the most elegant while still being extremely comfortable to hold. Like all Izé luxury handles, it is available in all the Izé finishes.